Yosemite Sam is one of the more flamboyant cartoon characters out there, and while hating all rabbits, as a particular distaste for Bugs Bunny, where he has had all sorts of interesting and humorous encounters. His character is hilarious in his looks, with the long eyebrows and mustache, wearing that hat set almost straight up on his head to give him that familiar look. What's also interesting about Yosemite Sam is the large number of roles he has played. Most know him for being a outlaw of the west, but he has also played a disreputable small town mayor, a desert sheik, cowboy, pirate, prison guard, prospector, and English lord, among others. With all of the many roles he played, most of us relate to the short-tempered character as the outlaw, which provides great material for a costume to wear for Halloween or other costume parties. 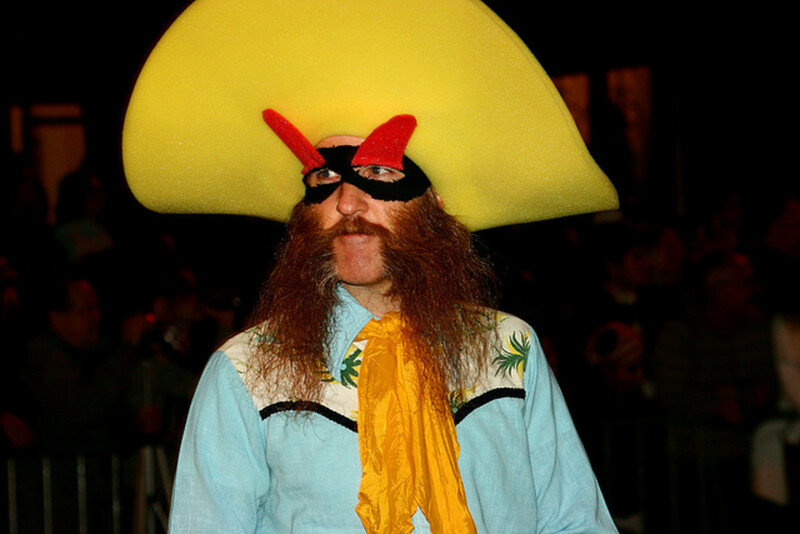 Everyone I've see that has worn a Yosemite Sam costume has always come s the outlaw we all recognize. That means the eyebrows, mustache, in most cases, that great tilted hat, creating that awesome look of Yosemite with great effect. In other words, wearing a Yosemite Sam costume is a hoot, and will without a doubt attract an enormous amount of attention and laughs. That's, after all, what makes a great costume. 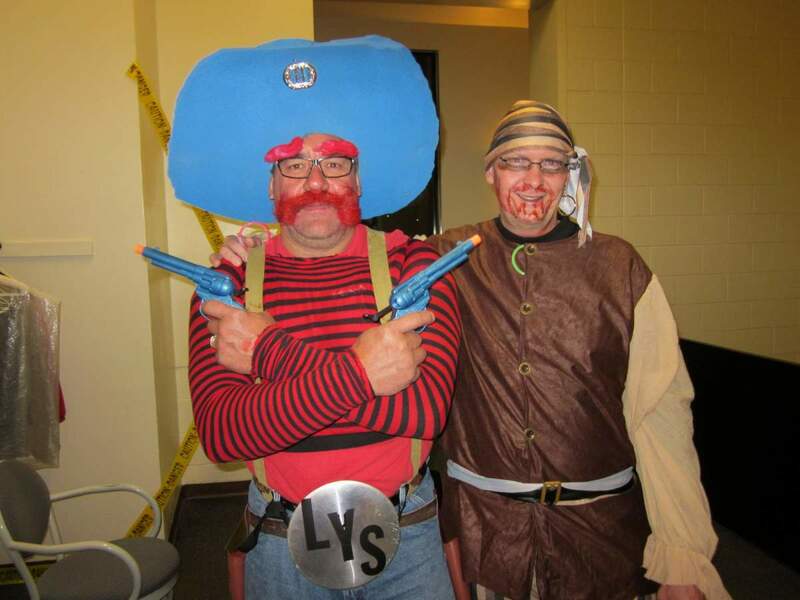 In this first photo of a Yosemite Sam costume, we have Yosemite posing with a pirate. He has the fun eyebrows and mustache, along with those suspenders he always wore as an outlaw. 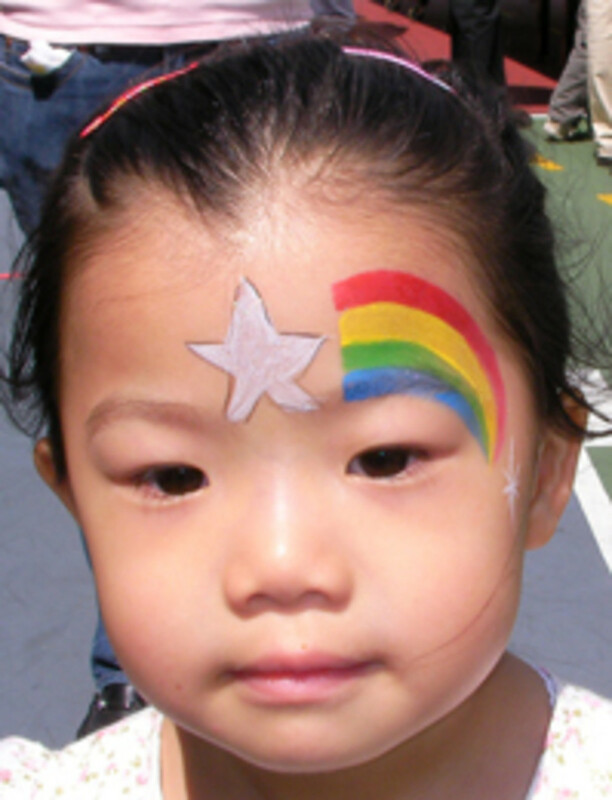 One fascinating thing I found when looking for some pictures of people dressed up as Yosemite, was they all wore different color hats, starting off with this blue one. 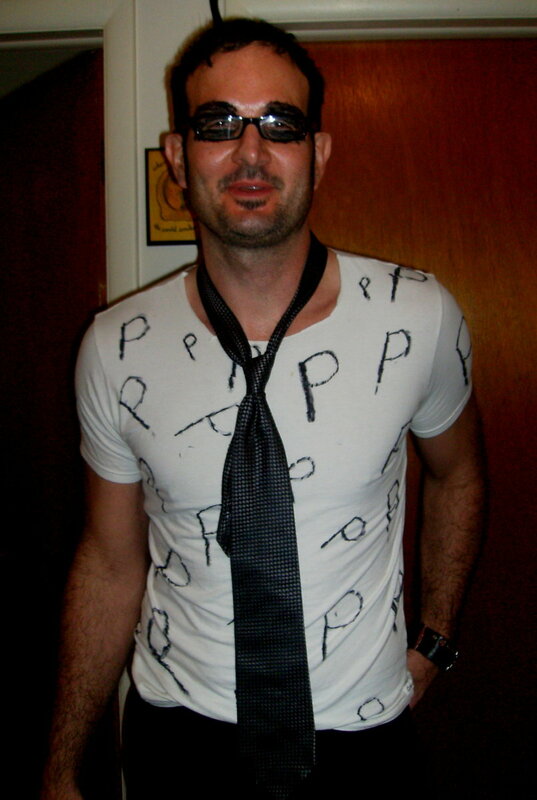 This is a great costume, although his eyebrow looks like it moved slightly out of place because of his glasses. This characterization of Yosemite Sam is an accurate one, as at one time in the Bugs Bunny shows he always appeared wearing a mask, as we see here. Do you notice how the hat is always tipped up on the head with all of these homemade Yosemite Sam costumes? This particular hat is probably the widest of the bunch here. Pretty cool! 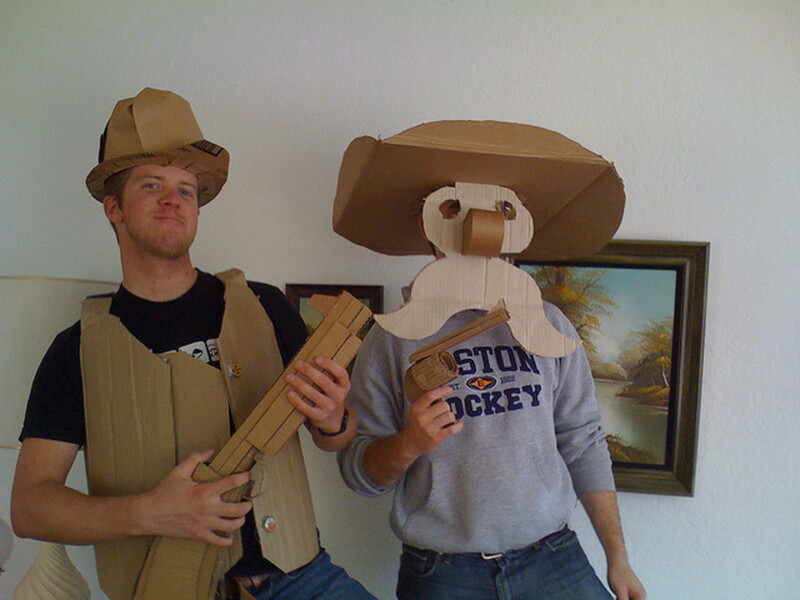 This isn't a top of the line Yosemite Sam costume, but I included it because it was creative; using the materials that were available to them. These are the types of costumes that, while not that great to look at, are so bad they're funny. These guys would get just as many laughs as anybody else at a party, although a few would be derisive. As for the other guy, he's playing the role of Elmer Fudd. His gun is the best part of his costume as well. I was surprised there wasn't more effort by others to portray that big nose of Yosemite Sam, as this is the only person attempting to achieve that unenviable look. It actually looks pretty good nestled in their among the red eyebrows and mustache. Again, the hat tilted up gives that authentic Yosemite Sam look. 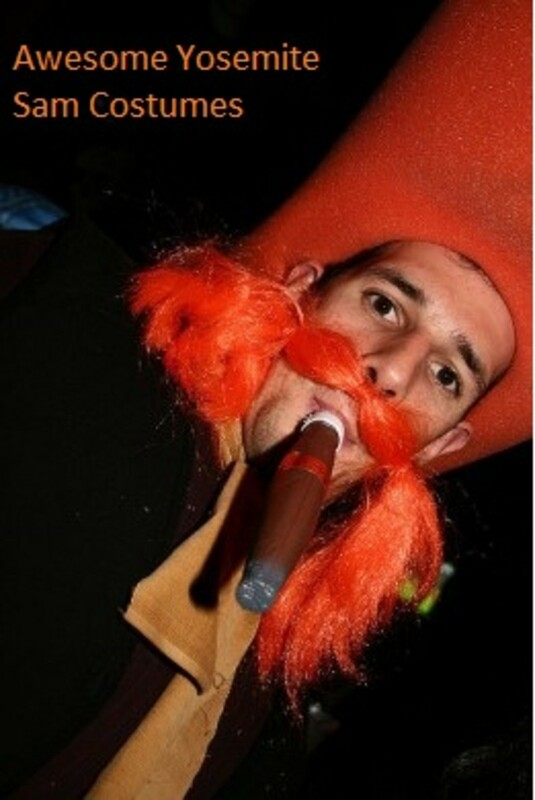 Here is a funny photo of Yosemite Sam smoking a pretend cigar. It gives a good closeup look as to the material used to create the mustache. Too bad he didn't choose to add the eyebrows, as it would have looked great. The hat choice here is a little different than usual for Yosemite, although it still looks good on him. With this Yosemite Sam costume it is a nod back to the days he wore a mask. This is cool because of the guy using his natural facial hair to portray Yosemite. It looks fantastic. This is probably my favorite hat of the bunch as well, complementing the rest of the look nicely. The only question I had was what those red things were sticking out of his forehead. I'm assuming it's an attempt to recreate the eyebrows. 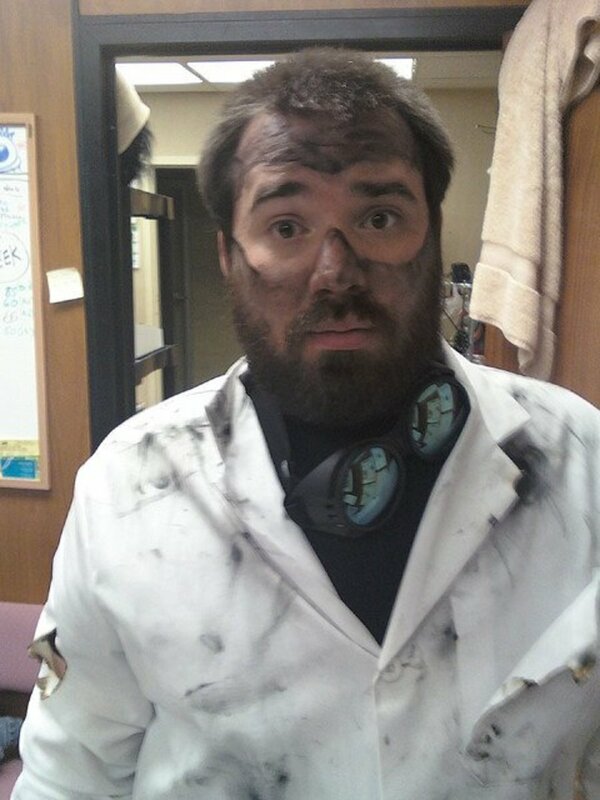 If it was, this is the only "fail" of the costume. The rest looks terrific. That was a lot of fun looking at all these Yosemite Sam costumes. What impressed me was they were all homemade costumes, and in most cases, were done very well. 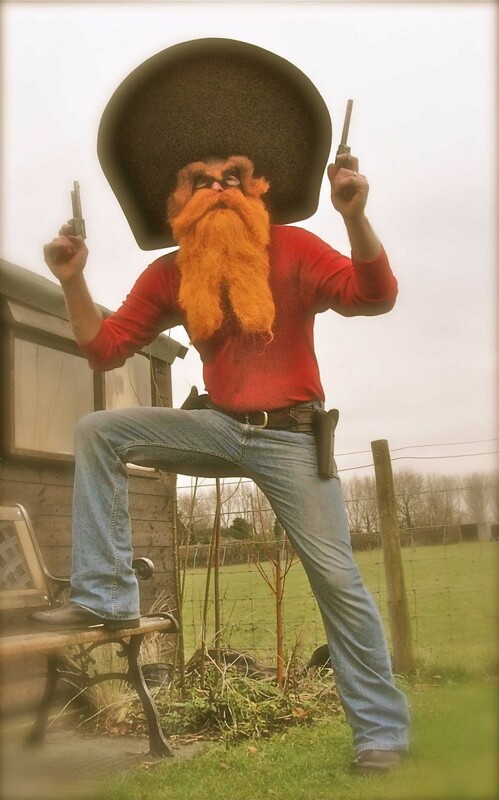 As you can see from the disparate looks, dressing up like Yosemite Sam really looks great, and it's very doubtful, even if another person were to dress up like the outlaw, whether anybody would have the same appearance. 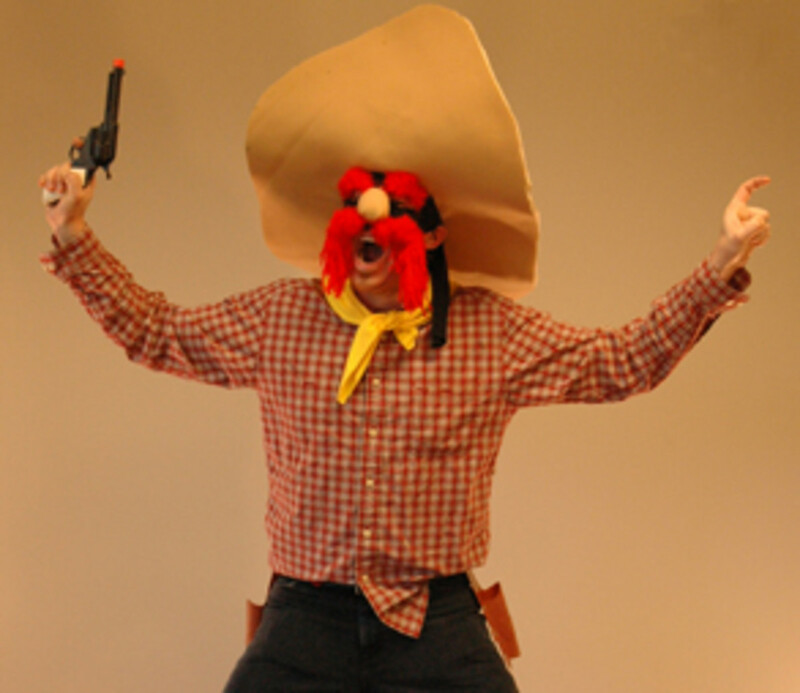 So if you're looking for Halloween costume, or other costume event ideas, choosing Yosemite Sam is a great option. This is funny and cute! I will vote it up!